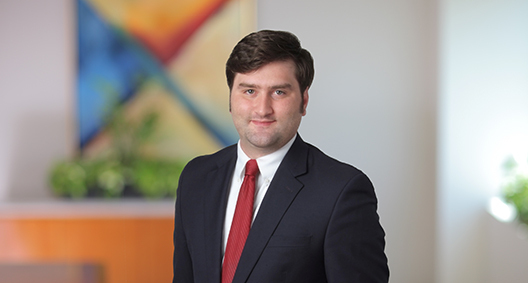 Robert Cheren represents clients in complex administrative proceedings and litigation, including preparing comments on proposed administrative actions and contesting them in court, and defending clients against enforcement proceedings. He has represented parties and amici curiae in numerous proceedings before the U.S. Supreme Court and three U.S. Courts of Appeals. Robert played a key role in obtaining the U.S. Supreme Court’s stay of the Clean Power Plan, which the U.S. Solicitor General described as “extraordinary and unprecedented.” He also successfully argued a novel federal sentencing case in the U.S. Court of Appeals for the Sixth Circuit, which was selected for "Recent Case" coverage in the Harvard Law Review. Robert recently served as Special Assistant to West Virginia Attorney General Patrick Morrisey with a focus on strategic initiatives to address the opioid epidemic. Robert’s cases have received front-page coverage in the Wall Street Journal and the New York Times, and his practice has been covered in more than 60 articles in Law360. Robert has also published articles in law journals that have been cited in the Yale Law Journal, Texas Law Review, Boston College Law Review, Idaho Law Review, Case Western Reserve Law Review, Edinburgh Law Review, American University Law Review, William and Mary Environmental Law and Policy Review, The Pittsburgh Journal of Environmental and Public Health Law, The Encyclopedia of Law and Economics, and more. Obtained United States Supreme Court stay of U.S. EPA's Clean Power Plan. Murray Energy Corp. v. EPA, 136 S. Ct. 999 (2016). Filed successful amicus curiae briefs in the United States Supreme Court in support of petition for writ of certiorari and on the merits of case challenging U.S. EPA’s refusal to consider costs before issuing national emission standards for coal power plants. Michigan v. EPA, 135 S. Ct. 2699 (2015). Defended district court order for U.S. EPA Administrator to be deposed in a Clean Air Act citizen suit case. In re Gina McCarthy II, 636 Fed.Appx. 142 (4th Cir. 2015). Successfully defended district court order requiring U.S. EPA to produce more than 130,000 documents and submit to numerous depositions of key agency personnel in a Clean Air Act citizen suit case. In re Gina McCarthy I, No. 15-1639 (4th Cir. 2015). Brought suit against Drug Enforcement Administration challenging controlled substance quotas for 2018 and successfully negotiated with Department of Justice leadership and DEA to obtain rulemaking proceeding to reform national drug quota system. West Virginia v. DEA, No. 17-1256 (D.C. Cir., pending). Represented coal company in challenging U.S. EPA's Clean Power Plan before the U.S. Court of Appeals for the D.C. Circuit sitting en banc. West Virginia v. DEA, No. 15-1366 (D.C. Cir., pending). Filed successful amicus curiae brief in the United States Supreme Court on the merits of a case addressing when federal administrative action can be challenged in court. U.S. Army Corps of Engineers v. Hawkes Co., 136 S. Ct. 1807 (2016). Filed petition for writ of certiorari in the United States Supreme Court supported by three amici curiae briefs in case challenging the treatment of unavoidable malfunctions in U.S. EPA’s national emission standards for boilers and process heaters. American Municipal Power, Inc. v. EPA, No. 16-1168 (S. Ct. 2017). Successfully briefed and orally argued before the U.S. Court of Appeals for the Sixth Circuit a novel federal sentencing case concerning a district court’s reliance on a poll of jurors to determine the appropriate criminal sentence. U.S. v. Collins, 828 F.3d 386 (2016). Successfully represented municipal power interests defending U.S. EPA’s work practice standards for starting and shutting down boilers and process heaters before the U.S. Court of Appeals for the D.C. Circuit. Sierra Club v. EPA, 884 F.3d 1185 (D.C. Cir. 2018). Petitioned the U.S. Court of Appeals for the D.C. Circuit for rehearing en banc of decision affirming the treatment of unavoidable malfunctions in U.S. EPA’s national emission standards for boilers and process heaters. U.S. Sugar Corp. v. EPA, No. 11-1108 (D.C. Cir. 2017). Defended district court order before the U.S. Court of Appeals for the Fourth Circuit requiring U.S. EPA to evaluate economic dislocations of workers resulting from regulatory and enforcement actions under the Clean Air Act. Murray Energy Corp. v. Administrator of EPA, 861 F.3d 529 (2017). Filed novel petition for extraordinary writ and petition for judicial review challenging U.S. EPA’s authority to regulate coal power plants under Section 111(d) of the Clean Air Act after regulating them under Section 112 of the Clean Air Act. In re Murray Energy Corp., 788 F.3d 330 (2015). Challenged U.S. EPA’s reaffirmation of decision to issue national emission standards for coal power plants following the Supreme Court’s decision in Michigan v. EPA before the U.S. Court of Appeals for the D.C. Circuit. Murray Energy Corp. v. EPA, No. 16-1127 (D.C. Cir., pending). Challenged U.S. EPA’s standards for carbon dioxide from new coal and natural gas power plants before the U.S. Court of Appeals for the D.C. Circuit. North Dakota v. EPA, No. 15-1396 (D.C. Cir., pending). Successfully briefed and argued to obtain district court injunction requiring U.S. EPA to evaluate economic dislocations of workers resulting from regulatory and enforcement actions under the Clean Air Act after obtaining and reviewing over 130,000 internal U.S. EPA documents and deposing U.S. EPA’s director of the National Center for Environmental Economics, a U.S. EPA expert witness, a U.S. EPA labor economist and the former director of U.S. EPA’s Air Economics Group. Murray Energy v. McCarthy, 232 F.Supp.3d 895 (N.D. W. Va. 2017). Defended domestic integrated iron and steel manufacturer in enforcement litigation against claims by U.S. EPA involving blast furnaces. Successfully moved to dismiss claims against governor and attorney general. Frontier West Virginia Inc. v. Justice, No. 17-3560 (S.D. W. Va. 2018). Successfully opposed a motion for judgement on the pleadings, opposed a motion to dismiss and obtained a $550,000 settlement in three civil enforcement proceedings in state trial courts against pharmacies for failure to detect and refuse to fill suspicious opioid prescriptions. Successfully quashed subpoena requiring appearance at sentencing hearing in federal district court. U.S. v. Kostenko, No. 16-221 (S.D. W. Va. 2017). Drafted comments on U.S. EPA proposed finding. Supplemental Finding That It Is Appropriate and Necessary to Regulate Hazardous Air Pollutants From Coal- and Oil-Fired Electric Utility Steam Generating Units, 80 Fed. Reg. 75025 (2015). Drafted comments on U.S. EPA proposed rule. Clean Energy Incentive Program Design Details, 81 Fed. Reg. 42,940 (2016). Drafted comments on CMS proposed rule. Long Term Care Facilities: Arbitration Agreements, 82 Fed. Reg. 26,649 (2017). Administratively appealed U.S. Department of Commerce demand for return of $4.7 million in grant funds. Drafted comments on DEA proposed rule. Controlled Substance Quotas, 83 Fed. Reg. 17.329 (2018). Conceived, drafted and successfully lobbied for enactment of West Virginia Code §60A-5-509 giving doctors and pharmacists an enforceable right to refuse to prescribe narcotics. Argued a novel federal sentencing case in the U.S. Court of Appeals for the Sixth Circuit; selected for "Recent Case" coverage in the Harvard Law Review. Represented nonprofit nursing home before the Centers for Medicare and Medicaid Services.